How do I win more clients and beat my competition? I’m sure this is a question you’ve asked yourself. Offer my architectural or building services more cheaply? Advertise more? Do more jobs? Develop a premium service? Another important question that you might have asked yourself is; can I reduce costs but not compromise on the quality of what I do? Here at Integro Construction Software, we believe that the answer lies with BIM. And here’s why. It has the potential to improve both the speed of delivery and quality of your work – whether it be building plans, 3D models, construction cost estimates, Bill of Quantities and other value added services, or take cost out of how you do business by streamlining your processes and sometimes even reducing headcount. Clients basically want to know their options. And then make changes. And usually some more changes…it’s their prerogative. And how do you offer all that whilst improving your business? With one integrated platform to connect building projects from concept to completion. That’s BuildingWorks. 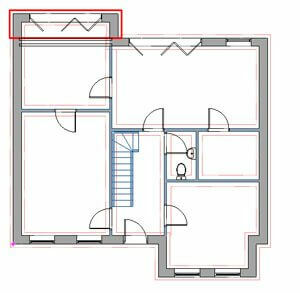 BuildingWorks is a seamlessly integrated practical BIM software suite to design, evaluate the energy performance and estimate the cost of residential new build homes, extensions, conversions and property refurbishment. As you draft the plan and model, you can see the immediate impact of design and specification decisions on project cost and energy performance. It’s the ultimate in construction optioneering whether you’re looking to impress a client or simply improve and optimise your projects. Furthermore the comprehensive general building & renovation rates library of 3500+ rates plus rates comes pre-populated with resources. This is not the case in many competitor CAD packages which claim to “do BIM”, as in those packages you have to map rates to every single object on to the drawing in order to estimate them…BuildingWorks intelligent objects “know” what they are, and are ALREADY mapped to rates, which are pre-populated with resources. Plus you can customise it til your hearts content, swapping building products in and out of your estimate to compare how they impact your budget or the U-value or thermal value for real time review of your decisions. We’re going to answer this with a question as it depends who is asking…Are you a building firm? Or are you an architectural practice? Whoever you are we’d recommend that you incorporate BIM within your business and actively market to gain competitive advantage. If you’re a building firm, property developer or house builder you’ll appreciate that BuildingWorks is incredibly easy to use. You’ll be able to provide clients or managers with design options in plan and 3D quickly and easily, fully costed, specified with REAL building products, and with indicative energy performance so they can instantly assess the value. It also helps you to reduce the capital costs of construction and here’s how in our report. Architectural technicians and designers will love the fact that they can offer more services and value with not much more effort. 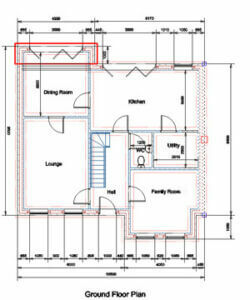 Provide a design (building plans and elevations) for new homes, extensions and conversions together with photorealistic 3D models in an instant, together with an estimate of costs at the outset, thereby allowing the client to review their options – perhaps changing the dimensions, or alternative specification and finishes to reduce costs or improve the thermal performance. *BuildingWorks is available on a low monthly subscription. Quarterly price updates are only available with subscriptions of BuildingWorks Estimate module. To find out more, give us a call on 0117 916 7880.